We have an ice cream maker but sometimes I just don't want to go through all the hassle of the rock salt and ice. Now don't get me wrong, there is nothing better than freshly churned ice cream on a hot summer day. Sometimes I just want to open the freezer and just grab it. Of course, you need to think a little ahead and have it all ready. This would be perfect for those days when you are out and about all day and need a treat when you get back home. Our daughter loved this when I made it. She kept asking for it until it was gone. I plan to make this many times throughout the summer and have her help me make it. She loves to help me in the kitchen and I am hoping this summer we can do more baking and cooking together. Use this recipe as a base and vary the ingredients to make this something completely different. I can't wait to see what we come up with this summer. Melissa, This is a precious post!! I love the story, my youngest used to cry her eyes out on the last day of school, I can totally relate! This ice cream will be made at my house this summer, too! Thanks for the great recipe! Thanks Michaela, it didn't take her to long to get into the swing of summer. She is having a blast and not missing school anymore. One day I am going to wake up and she is going to be all grown up. I am trying to treasure these moments as much as possible. Thanks for stopping by and leaving me a sweet note. Thanks for the best blog.it was very useful for me.keep sharing such ideas in the future as well. We will have to try this ice cream. It looks so good! 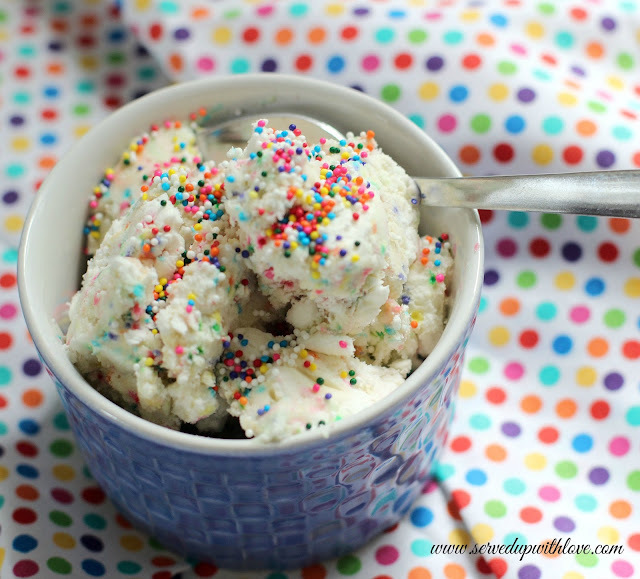 I have made all kinds of funfetti treats, but never ice cream. Love that it is no churn! Sprinkles make everything fun right Christin? I need to make this one again soon. Thanks for stopping by. 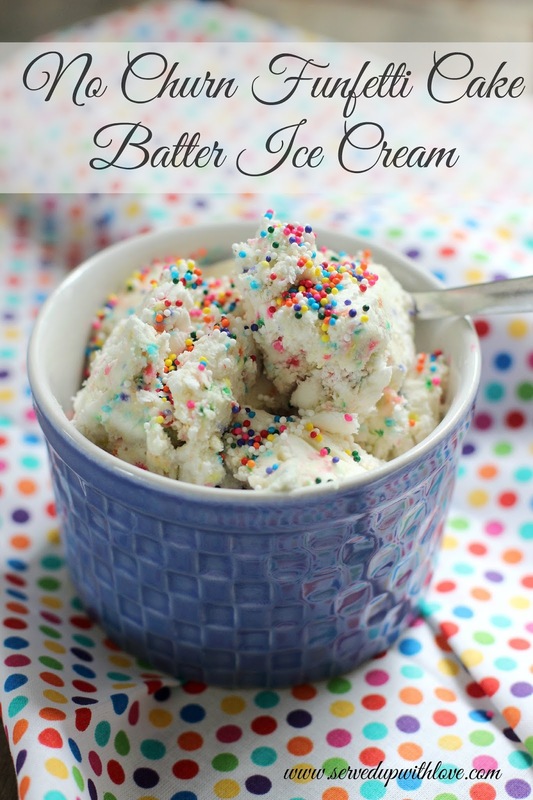 I really need to try making ice cream! Thanks for linking up to the Tasty Tuesday last week. I've pinned your recipe to the Creative K Pinterest board. I hope that you come back tomorrow to link you any new recipes you might have. I will be trying more flavors of this ice cream. We love it. Thanks for stopping by.